If, like me, you’re looking for stylish swimwear that can take you from sun-drenched, lazy holidays by the pool, to body boarding on six foot waves down in Cornwall, then its fair to say that Animal have nailed it. This seasons prints feature mix and match bikinis in eye-catching tropical shades, with a range of styles to suit every body shape. My favourite is the Lily Rose Halter neck, see below. The cut, not only suits my body shape, but it accentuates the bits that I like and flatters the bits that I don’t (and you can’t really ask for more than that can you?). Shop online to see the full range, I can promise that you won’t be disappointed!! I workout most days, so staying hydrated has always been a huge focus for me, especially when it comes to my overall health and wellbeing. “Our bodies are made up of more than half water and we use it for pretty much every bodily function — from regulating body temperature to removing waste to lubricating joints to carrying oxygen to the cells.” says Rachel Berman, a registered dietician and director of About.com Health. Let’s be honest, we all know that good old H2O is critical for rehydration, especially when our body experiences fluid loss during a high intensity workout. So I’m always mindful to eat a balanced diet and to drink enough water as part of my daily routine. But I’ve also discovered (especially as I get a little older ) that I need to be more mindful of my skincare regime too…So, I’ve been on the hunt for a skin care range that will keep my (drier that usual) skin, feeling hydrated, supple and youthful. But where to start…? There’s certainly lots on the market, but often the range of choice can be completely overwhelming and quite frankly, daunting. They ALL proclaim to make us look 10 years younger but which ones really work? I wanted to try a brand that’s established, popular and already has successful track record! So with all this in mind, I decided to start with a brand that’s been softening and moisturising women’s faces since 1911; surely they’ll have the answer! Hello Nivea! The Nivea care Q10 plus range, is an anti- wrinkle system that promises to help fight the appearance of fine lines and wrinkles and visible smooths the skin. As well as supporting the skins’ own natural Q10 and Creatine (basically the stuff that helps fight the appearance of wrinkles) and keep skin looking supple and youthful. What more do I need? 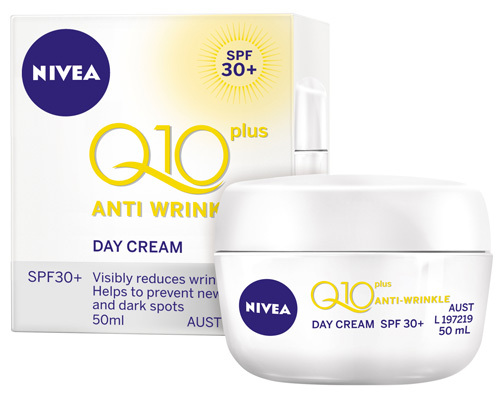 With the added bonus of helping to protect my skin against the sun, the NIVEA Q10 plus ANTI-WRINKLE Day Cream seemed like a good place to start. 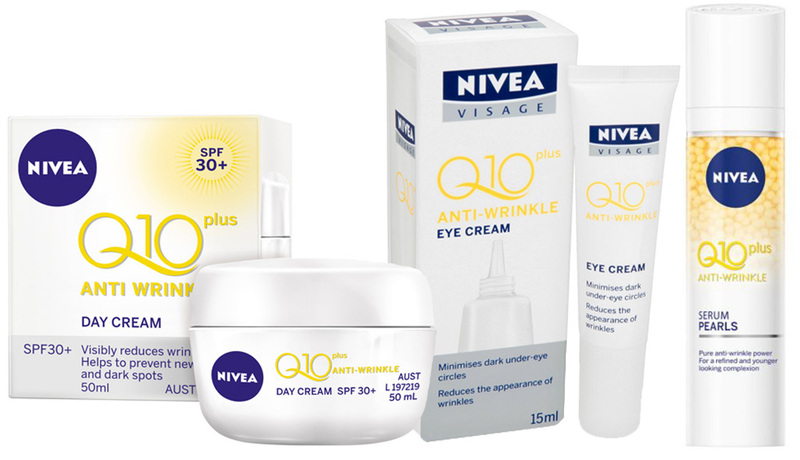 And the verdict is…I’ve been using NIVEA Q10 plus ANTI-WRINKLE day cream for the past month. The cream has a lovely, thick and creamy texture which leaves my skin dewy, soft and supple; so far so good, (especially as I’m not a fan of light texture creams). It feels hydrating on the skin and smells great too, which is always an added bonus. My skin is noticeably softer and with SPF 30, I know it’s protecting my skin from harmful UVA rays! As I’m currently on holiday, this is more important than ever! I’ve also been applying the night cream before I go to bed. The slightly thicker texture means I wake up with my skin refreshed, ready to face the day. All of this, combined with the eye cream and serum pearls means my skin is glowing! Win, Win, Win! So, if you’re looking for smoother, younger-looking skin, then I think I may have found the answer. Hello Nivea, welcome to my world! 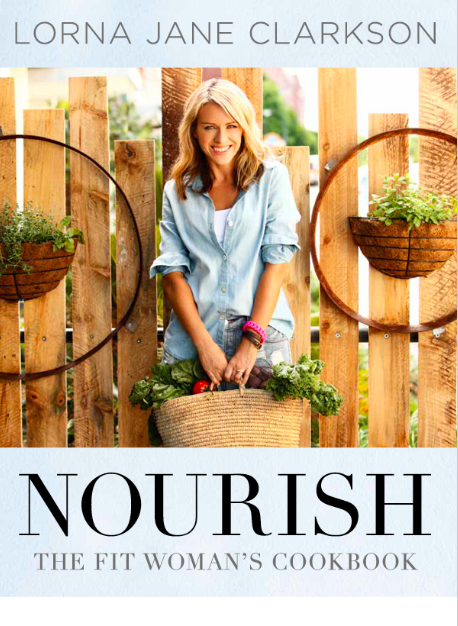 This month I am absolutely loving, Nourish – The Fit Woman’s Cookbook, written by active living advocate, Lorna Jane Clarkson. Nourish not only gives us 120 delicious recipes with beautiful accompanying illustrations but is also full of handy hints for establishing healthy eating habits. There’s tips on how to improve digestion, hydration and alkalinity as well as personal nutritional philosophies and life rituals from Lorna Jane herself! When planning breakfast, lunch, dinner, desserts, snacks, smoothies and elixirs (yes that’s right elixirs), I know I’ll find inspiration in this book, It has fast become my kitchen “go to guide”! My personal favourite is the Macadamia Mylk which is now a permanent fixture in my household! The book even has the added bonus of incorporated meal planners, it seriously has every base covered! So maybe its time to stop dieting and start nourishing. This month, in need of some reluctant runner inspiration, I’ve been road testing (literally) the new Reebok ZPump Fusion. Promising to revolutionise running with new custom fit technology and a running shoe that will apparently adapt to me by conforming to the shape of my foot – I was keen to give them a try. I’ll admit on first appearance they were not my normal style and wouldn’t have been my first choice if I was going for look alone. 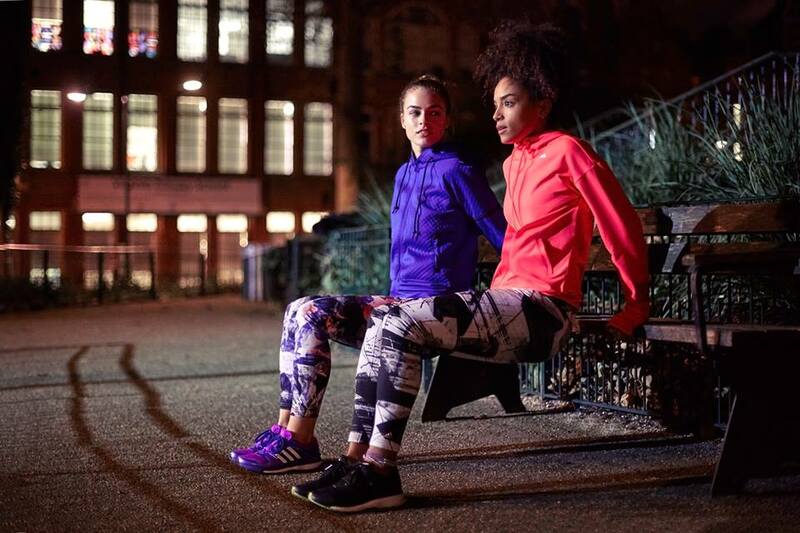 But for me, the question when trying out any training/running shoe is always – how do they feel when they’re on and are they going to give me the support I need? Well they’re certainly comfortable, because the pump technology allows the shoe to mould around the shape of your foot and once they’re on they look good too, an added bonus! I decided to wear them for a day to see if the comfort factor would hold up, especially when faced with a range of activities that I would normally do (beyond just running). 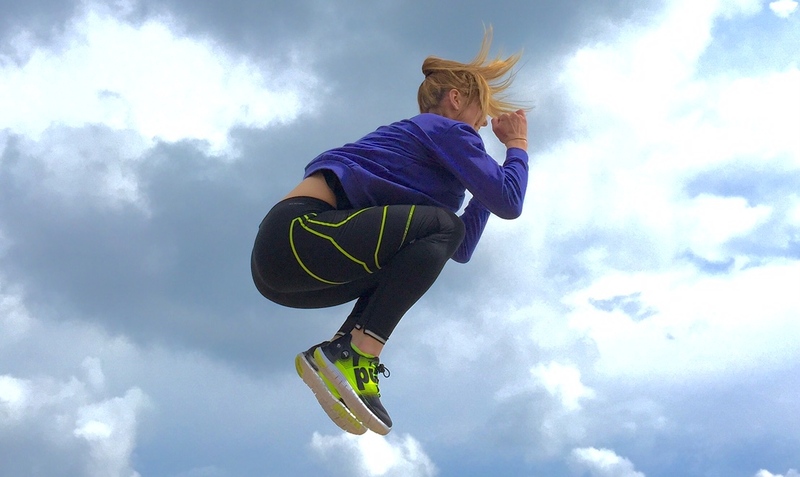 I was interested to see if the Reebok ZPump Fusion would be able to keep up with my active lifestyle – not an easy task when you live in my world? So what was the verdict…I ran, cycled, walked, jumped, fitted in a few planks, burpees and press ups along the way (oh okay and a coffee or two) and I have to say they didn’t let me down. An extremely comfortable running shoe that I’ll be wearing time and time again – and not just when I hit the treadmill! It’s a brilliant all rounder that looks good, feels good and can be used time and time again. If that’s not value for money, I don’t know what is!